In July 2004, Hines purchased PG 45, an historic and emblematic office building originally constructed in 1879. Hines completed refurbishment of the building producing 16 luxury apartments and three duplex penthouses. 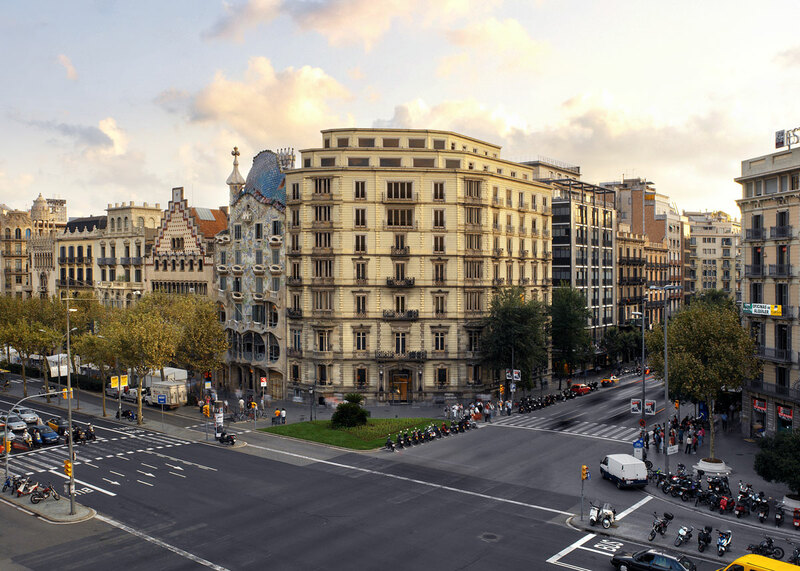 The property is located on the most prominent corner of the Golden Square area of Barcelona, next door to Gaudi’s jewel, Casa Batlló. Barclays Bank occupies the ground and first two floors of the building. The remaining floors represent a total of 3,073 square meters (33,000 square feet,) plus 293 square meters (3,152 square feet) of terraces. The apartments measure between 96 and 240 square meters (1,033 and 2,582 square feet).